Today on The Ave Podcast, I invite back SSA Family Member Kevin W. as we revisit his life as a die-hard fan…. of the New York Knicks. We update the trials and tribulations since the last episode two years ago. From the Kristaps Porzingis trade, to James Dolan banning someone else from Madison Square Garden, rooting for the Carmelo experience, the cynical POV of a better tomorrow with all that salary cap space this summer, Dyin’ for Zion, we get all in the crevasses of this franchise. We wrap up the podcast discussing the dysfunctional Los Angeles Lakers season. To subscribe to South Shore Ave, click onto the Follow button, and enter your email address, or click onto the RSS Feed. Very special thanks to Kevin W. for his guest appearance on this podcast. This entry was posted in Basketball, South Shore Ave Radio, Sports and tagged Basketball, Carmelo Anthony, Charles Oakley, Dennis Smith Jr., James Dolan, Kristaps Porzingis, NBA, New York, New York City, New York Knicks, Phil Jackson, Spike Lee, Sports, Steve Perry on March 15, 2019 by Cal Cee. Today on The Ave Podcast, I invite Randall Walter (Head Coach of Team Breakdown’s AAU Basketball Program) & Julian aka Jules Da Commish to discuss the first half of the Toronto Raptors. 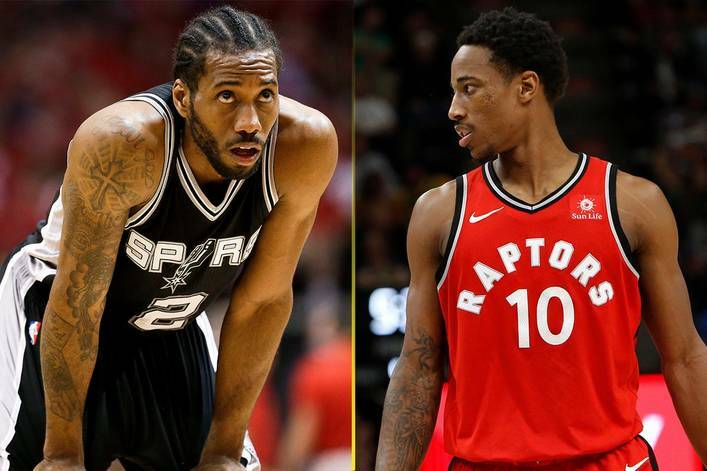 We discuss Kyle, DeMar, Jonas, Serge, and the high value of the bench mob, if Masai Ujiri should get Executive of the Year, share our thoughts on Norman Powell’s struggles, just how far the Raptors can actually go, plus much more. To subscribe to South Shore Ave, click onto the Follow button, and enter your email address, or click onto the RSS Feed. Very special thanks to Randall Walter and Julian aka Jules Da Commish for their guest appearance on this podcast. To check out last year’s State of the Raptors Address, click right here. This entry was posted in Basketball, South Shore Ave Radio, Sports and tagged Basketball, Boston Celtics, Cleveland Cavaliers, Demar DeRozan, Duane Casey, Fred Van Vleet, Jonas Valanciunas, Kyle Lowry, Kyrie Irving, LeBron James, NBA, Serge Ibaka, Sports, Toronto, Toronto Raptors on February 21, 2018 by Cal Cee. Today on The Ave Podcast, I invite friend of the podcast Kevin W. (past contributor to South Shore Ave), as we discuss the life of being a die-hard sports fan. We break down the trials and tribulations of following a team through adversity, inept decisions, bad management, bad performances, self-inflicted controversies, and why they still stay loyal to their team. If you guessed that the team we’ll be discussing is the New York Knicks, gold stars for you. Sadly, at this point, it’s more interesting than the NBA Conference Finals right now. You know it’s true. We wrap up the podcast discussing Lonzo Ball’s sneakers, and the 2017 NBA Draft lottery. This entry was posted in Basketball, South Shore Ave Radio, Sports and tagged Basketball, Carmelo Anthony, Charles Oakley, James Dolan, Kristaps Porzingis, LaVar Ball, Lonzo Ball, NBA, NBA Draft Lottery, New York Knicks, Patrick Ewing, Phil Jackson, Sports on May 19, 2017 by Cal Cee. Today on #TheStoop, I invite Vidal Chavannes (Author & Educational Consultant) & DJ Chris Nice (Grooves & Rhythms Mixshow, Fridays from 2-4PM on MyLime Radio), as we sit down & have the discussion on the importance of athletes and entertainers speaking up on social issues. 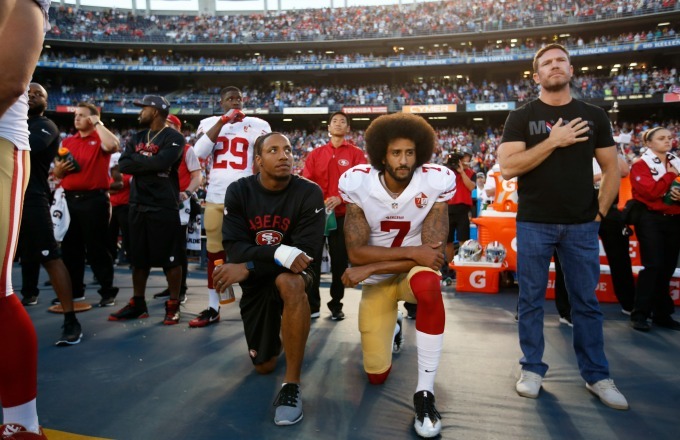 Plus, we share our thoughts on Colin Kaepernick and his stance against standing up for the US National Anthem. This entry was posted in South Shore Ave Radio, Sports and tagged #BlackLivesMatter, American Flag, Carmelo Anthony, Colin Kaepernick, DeMarcus Cousins, LeBron James, National Anthem, NFL, San Francisco 49ers, Social Issues, Sports, U.S.A on September 9, 2016 by Cal Cee.